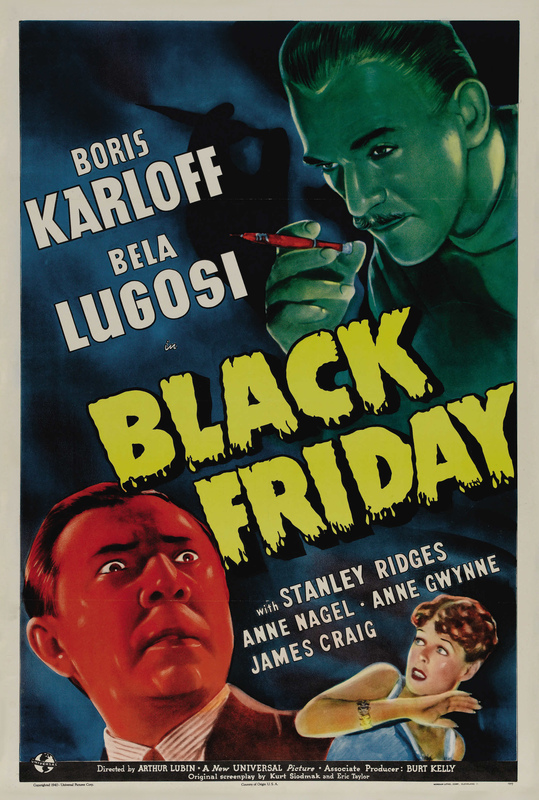 The Twin Titans of Terror, Boris Karloff and Bela Lugosi, reteamed for their fifth film together in 1940’s BLACK FRIDAY. 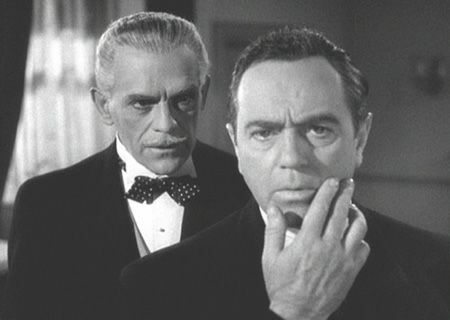 Horror fans must’ve been salivating at the chance to see the duo reunited after the success of the previous year’s SON OF FRANKENSTEIN, but left the theaters let down upon discovering Boris and Bela share no scenes together, and the bulk of the action is carried by character actor Stanley Ridges in a dual role. 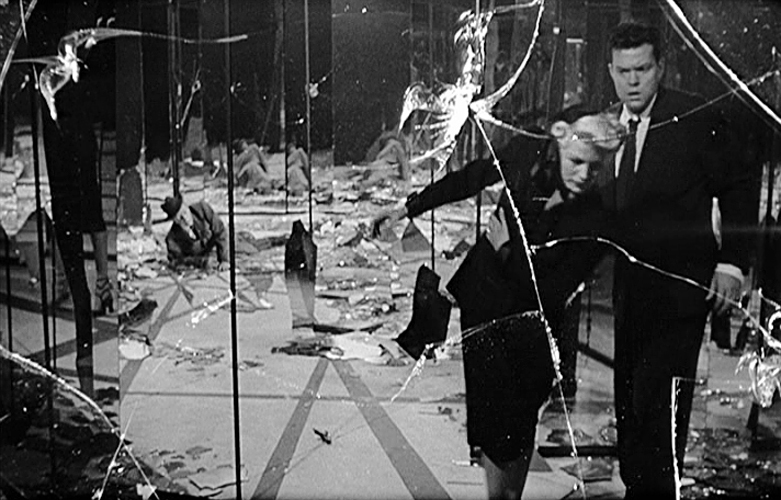 The movie’s a variation on the old Jekyll & Hyde theme, with a twist: instead of a secret formula, the change occurs via brain transplantation! The preposterous premise finds Karloff on death row as Dr. Ernst Sovac, walking that last mile to his fate in the electric chair. Sovac hands his notes and records to a sympathetic newspaper reporter, and our film begins in earnest. Flashbacks relate the tale of kindly old English literature Professor George Kingsley, struck down by a car driven by gangster Red Cannon, who is trying to escape a hit by his former gang. Both men are badly hurt in the crash, with Kingsley being mortally wounded and Red paralyzed. To save his friend Kingsley’s life, Sovac transplants part of Red’s brain in Kingsley’s head (which of course kills the gangster). 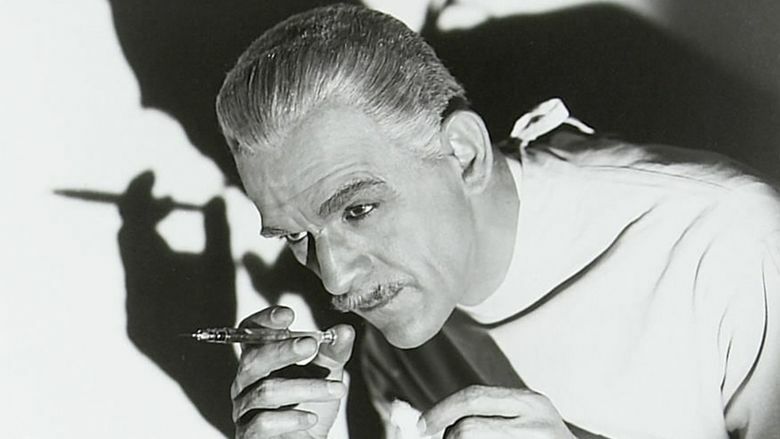 The script by Curt Siodmak and Eric Taylor seems tailored for Lugosi to play the mad Dr. Sovac and Karloff as Kingsley/Red, right down to the character names and some of the dialog. 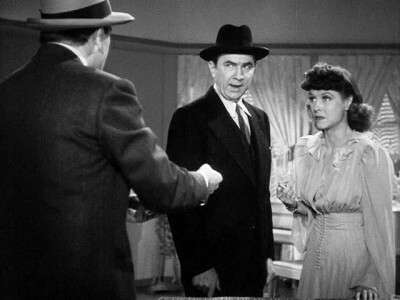 But for whatever reason (reports vary), Karloff insisted on taking the Sovac part. 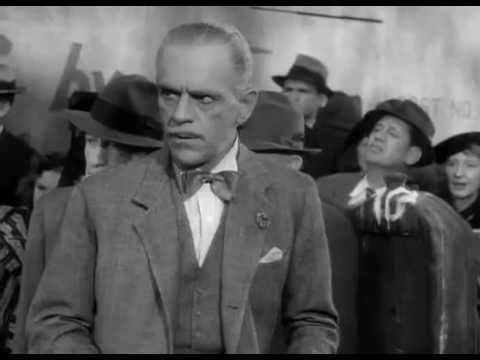 It’s not like he’d never played a gangster before (see THE CRIMINAL CODE or SCARFACE for examples), but Karloff got his way. Bela wound up being wasted in the part of crook Eric Marnay (and though he’s quite good, it’s a minor role), and Ridges (who was probably slated to play Marnay) got the juicy role of Kingsley/Red. Ridges is effective, but it would have been a much better film if the original casting had stood.